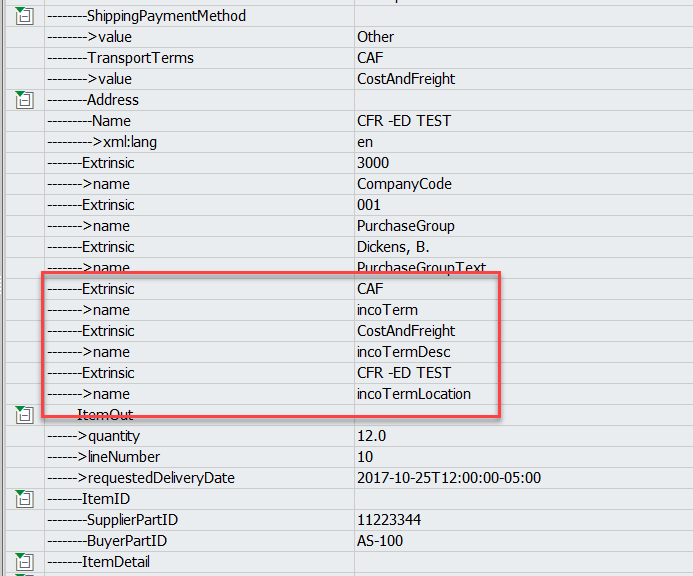 Currently, the standard Add On OOTB functionality does not display the IncoTerm information sent by ECC. 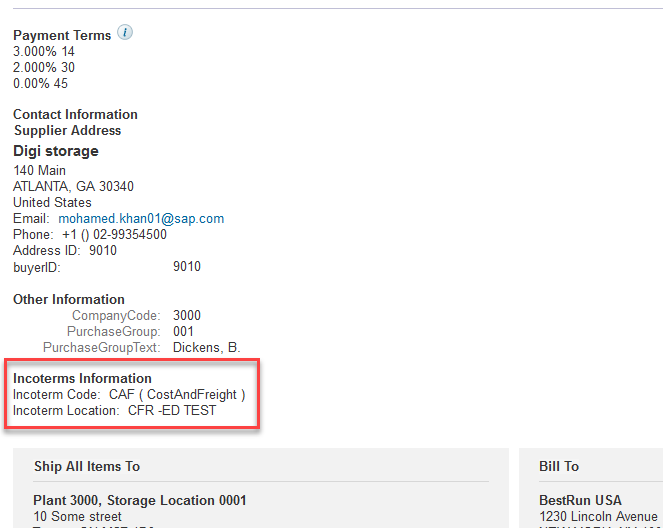 It is outputted in the PO XML, as this is an OOTB functionality, but the information is not being displayed on the PO. This blog’s intention is to provide a code fix at header level to override this issue in the AddOn. The following code must be copied and pasted in method IF_ARBERP_BADI_OUTB_MAP~MAP_BUS2012_TO_ORDR_OUT. Attention: This will map a header level Incoterm to Header level extrinsics. This will not work if the customer’s requirement is to send to the AN item level Incoterms information. DATA: it_extrinsic TYPE LINE OF arberp_xordr_t_extrinsic. And now it is correctly displayed in the PO. Thank you Former Member for creating this guide!